Yes – even healthier! Our previous post talked about some of the health benefits of coffee. This post contains tips for making that next cup of coffee even healthier and things you can do to maximize the healthy benefits that coffee can bring to a healthy lifestyle. Let’s start with the coffee itself – with the methods used for it’s growth and production. If at all possible, try to go with organic coffee. While coffee growers may not be the worst offenders in terms of herbicides and pesticides, you still want to avoid these toxins whenever possible. Always try to get whole bean and grind your own coffee. Coffee is a complex beverage; the flavor comes from hundreds of volatile compounds and oils found in roasted coffee beans. Because of the volatile nature of these compounds, they can begin to dissipate quickly once the beans are ground and exposed to air. 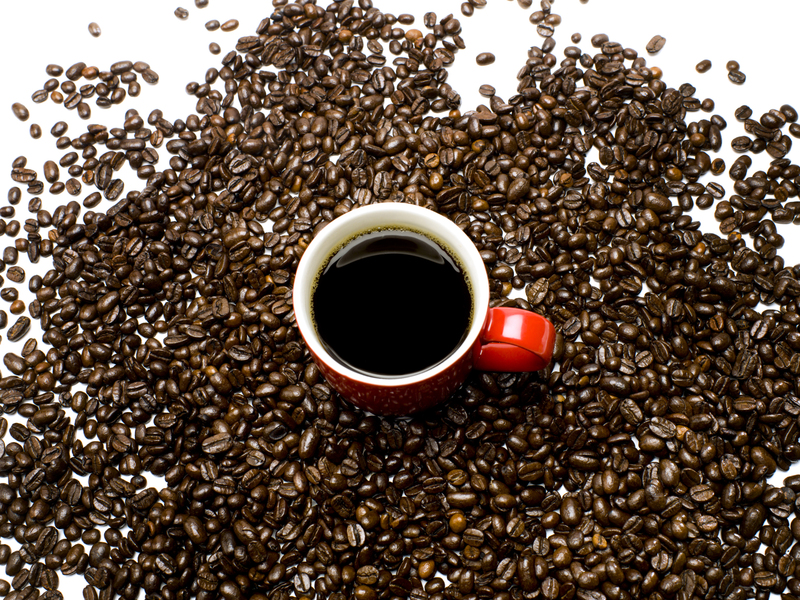 It is these compounds that also contribute to the antioxidant qualities of coffee. Best to grind right before brewing. Consume shortly after brewing, or carafe quickly once done. I prefer a method where the coffee is brewed directly in to a thermal carafe. Many oils and volatile compounds are released from the grounds as the coffee is brewed. These begin to evaporate or dissipate immediately after brewing. To minimize this, avoid leaving an open pot or carafe sitting on a burner or warmer for extended periods after brewing. Coffee that continues to heat or cook after brewing will undergo changes in both the taste and the antioxidant properties. Use real cream or half and half or milk (organic of course) if you cream your coffee. Avoid the non-dairy coffee creamers; read the labels and you’ll see a list of things you probably wouldn’t want to ingest on their own – why put them in your coffee. Choose between milk or cream depending upon your diet and your goals for fat intake. Finally, if you do need to sweeten your coffee, try stevia or a natural sweetener, or a small amount of sugar (preferably organic). Avoid the artificial sweeteners, especially aspartame to avoid the toxin issues associated with artificial sweeteners. Questions or comments – let me know; I’d love to hear from you. Previous PostPrevious Have some coffee and boost your health! Next PostNext Are you still drinking diet soda?